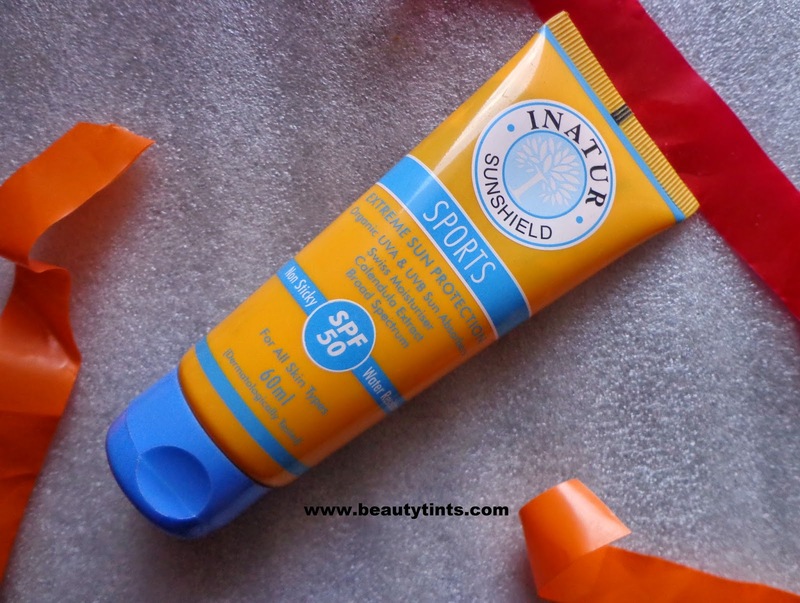 Today I am reviewing one of the best sunscreens I have used so far,which is the Inatur Herbals Sports Sun Shield SPF 50. After 2 years,I got a chance to replace my HG sunscreen with this one.It is very light,non sticky and water resistant. 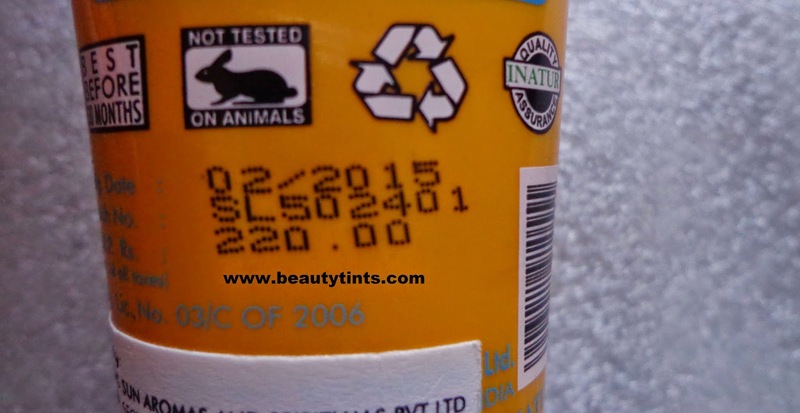 Packaging : It comes in a super attractive yellow and blue tube packaging with a flip cap. A light, sweat-proof formula that stays on the skin and fights environmental damage for long hours. It is suggested to apply this lotion for long outdoor activities, beach sports, swimming and otherwise any long exposure to the sun. So no matter what game you play, this sunscreen lotion is a teammate that you can always count on. It contains MBBT- protects from the sun’s UVA rays and has anti-ageing properties, OMC- protects from UVB rays and prevents sunburn, Oxybenzone- prevents from the UVB rays of the sun and reduces melanin formation, Calendula extracts- help to soothe and tone the skin, acts as an astringent and has healing properties, Swiss Moisturizers- anti-inflammatory and reduces sunburn. Directions : Apply generously and evenly to all areas before sun exposure.Reapply after some time. Ingredients : Aqua, Acrylate Copolymer,Metylene Bis-benzotriazolyl Tetramethylbutylphenol,Octylmethoxycinnamate,Octyl Palmitate,Oxy benzone,Glyceryl Stearate,Cetearyl Alcohol,E.D.T.A,Selatorium Gum,Calendula Extract,Methyl Paraben,Propyl Paraben,Fragrance. 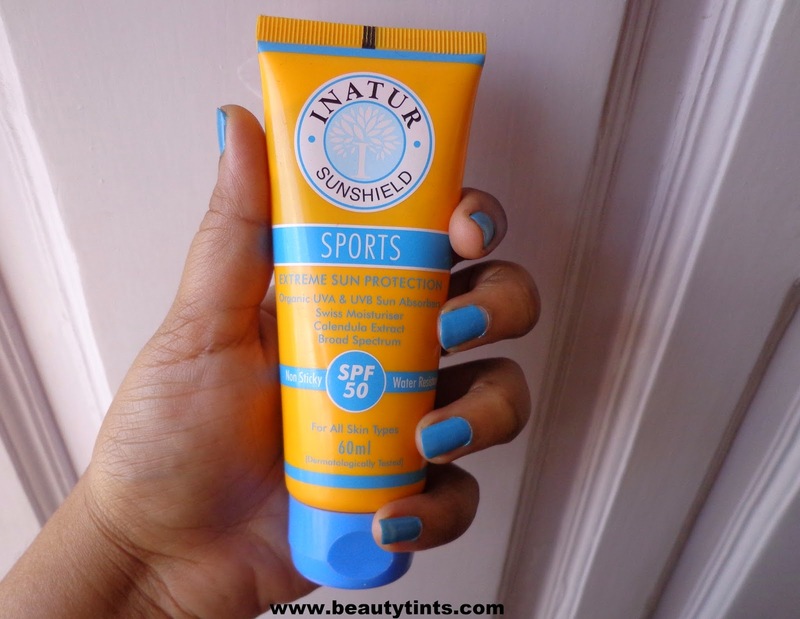 My View On the Product : This is a sports sunscreen meant for sports players or any one who spend long hours in sun.I am super happy to try this out as this is one of the most amazing sunscreens I have used so far.It is very light and spreads easily on the skin and get absorbed quickly into the skin with out leaving white cast,which most other sunscreens do.Immediately after application, it gives a nice cooling sensation to the face.It has a mild sweet fragrance which does not bother at all.It is water resistant and non-comedogenic. 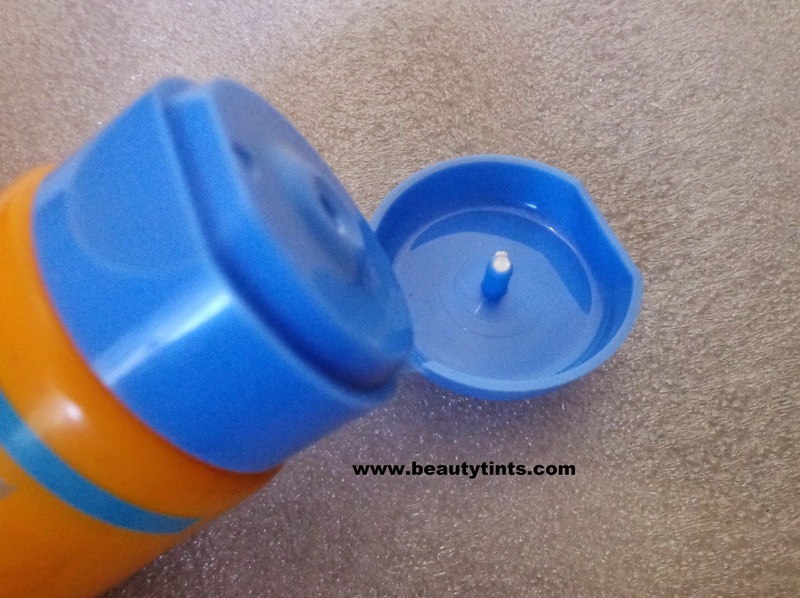 It comes in a bright yellow and blue combination tube packaging with a flip cap,which is very convenient to use and travel friendly too.It suits all types of skin especially oily skin well as it is not heavy or greasy on the skin and does not clog pores.It did not break me out.It makes skin smooth and supple,giving a soft glow to the face.It comes with SPF 50 along with organic UVA & UVB Sun absorbers.It gives a good hydration to the skin and acts a good moisturizer too.Those with oily skin can skip moisturizer. It suits even sensitive skin also.It helps in preventing sun burn and tanning to a greater extent.It is very affordable. 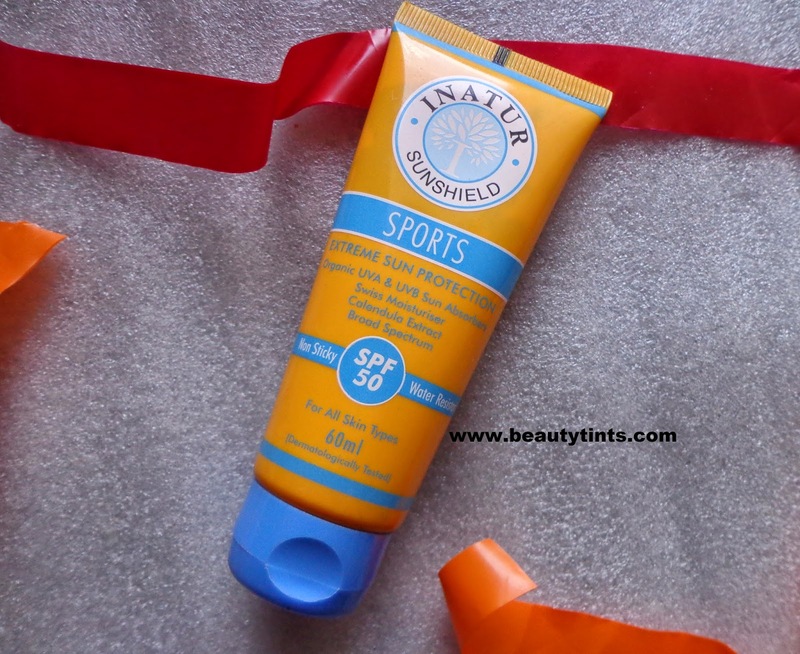 Final Conclusion about Inatur Herbals Sports Sun Shield SPF 50 : Those who are looking for a light weight sunscreen with higher sun protection with in a budget range should try this.